This year’s Tenterden Christmas Market was held from the 23rd – 25th November. The town was transformed into the magical land of Narnia, from Lewis Carol’s book: The Lion, The Witch and The Wardrobe, which was completed with snow that cascaded magically around the town hall. The Christmas theme continued with a trail of characters and items from the book, with Aslan guarding his Kingdom, a model of the famous wardrobe, Mr Beaver and two ice bears. 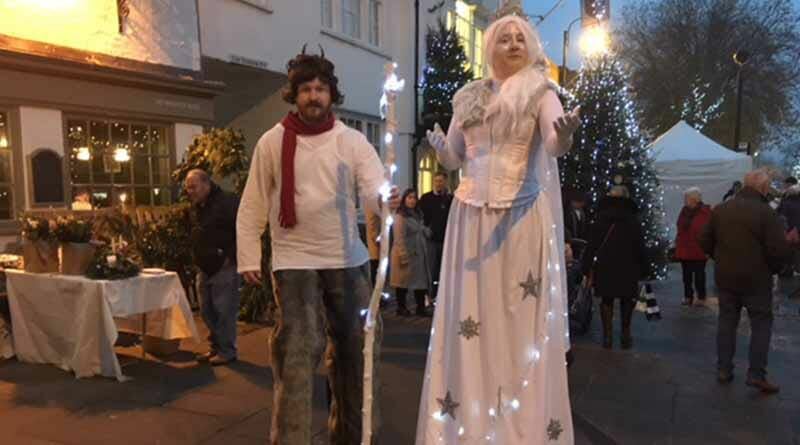 The White Witch Jadis, Mr Tumnus and Father Christmas were also available to meet. Take a look around the Tenterden Christmas Market this year. With various stalls helping different charities such as the Salvation Army and local goodies from plenty of local businesses like Biddenden Vineyard, the street was buzzing with festive treats. There were many local talents who serenaded the street from the town hall, keeping the eager shoppers jolly. Families gathered together and there were plenty of outlets for hot food and drink to keep everyone cosy during the chilly weather. The event even had it’s own hashtag ‘#Christmasintenterden’, which locals could use throughout the weekend to spread their Christmas joy. 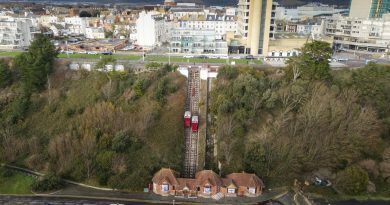 The play park was lit with much-loved rides and fair ground games that tightened the sense of Christmas spirit. On Friday, the Christmas lights were switched on, much to the glee of onlookers and they will continue to sparkle in December. There was a light parade which also took place on Friday, kicking off the festive season with school parades, a Christmas tree blessing from the Mayor and a service at St Mildred’s Church.